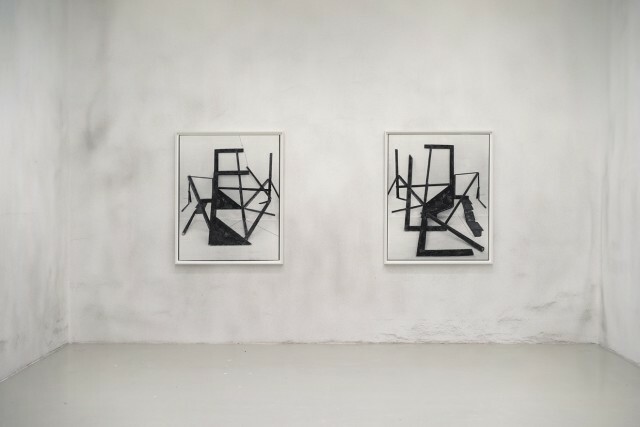 Galerie Lisa Kandlhofer is pleased to present the second solo exhibition of Rodrigo Valenzuela. In his photographic series Valenzuela challenges American culture and a simplified approach to representation by revealing his labor-intensive process of translating spaces and objects into images. Valenzuela's constructed scenes and narratives recognize the tensions between individuals and societies in relation to where they reside, most of the work focuses on the experiences of undocumented immigrants and laborers. He is considering the ideology of the 'Manifest Destiny' a nineteenth century belief that the white European is inherently superior, and that North America was their fortune to conquer. This ideology lead to Act's being passed like the 'Homestead Acts' which was created to quicken the settlement of public land west of the Mississippi river, an act infamous due to its failings. Valenzuela's images of barren desert landscapes, the iconographic American West, invoke ideas of both expansion and opportunity. Though they also represent painful histories of erasure that resonates with present-day debates on immigration, border control, gentrification and climate change. Furthermore references to architecture and interior spaces are superimposed on the landscapes, taking the form of lines and boxes that the artist describes as "transition zones" and "structures built out of desire."